Is Larry Ellison Moving Into Wildlife Philanthropy? 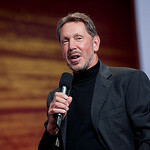 Larry Ellison, CEO of Oracle, surprised the philanthropy community last year with his tight-lipped end to biomedical giving. Although the Ellison Medical Foundation is shutting down (see IP’s post), it seems Larry Ellison hasn’t given up on philanthropy. Instead, he’s broadening his focus through his renamed Lawrence Ellison Foundation to put funds into new pursuits, including education and global development. It also looks like wildlife and conservation issues have caught his eye. Ellison (see IP Profile) shifting into conservation is perhaps not a complete surprise. Oracle’s corporate giving tends to focus on STEM issues (science, technology, engineering, and math), but the company has donated to wildlife issues in the past. In 2010, Oracle gave $1 million to the National Geographic Initiative to fund the education component of a project to stop ocean degradation. Oracle has also supported the Center for Conservation Biology at the University of Washington on a project to stop elephant poaching. Larry Ellison himself is on the Board of Trustees of the Dian Fossey Gorilla Fund which works towards gorilla conservation. He’s also stirred up controversy with his recent purchase of Hawaii’s Lanai island, which he wants to turn into a “laboratory for sustainability.” He already has plans for converting salt water into fresh water, bringing electric cars to the island, and promoting small businesses. One of the first moves for his new foundation will likely be to support a wildlife care center in California. Apparently, Ellison has donated land in Saratoga for a Conservation Center for Wildlife Care. The center is supposed to rehabilitate and return animals to the wild, as well as run education programs and conservation projects. However, don’t expect to find much on the center or Ellison’s new foundation quite yet. Ellison hasn’t made any formal announcement of his plans nor posted anything to his foundation website.